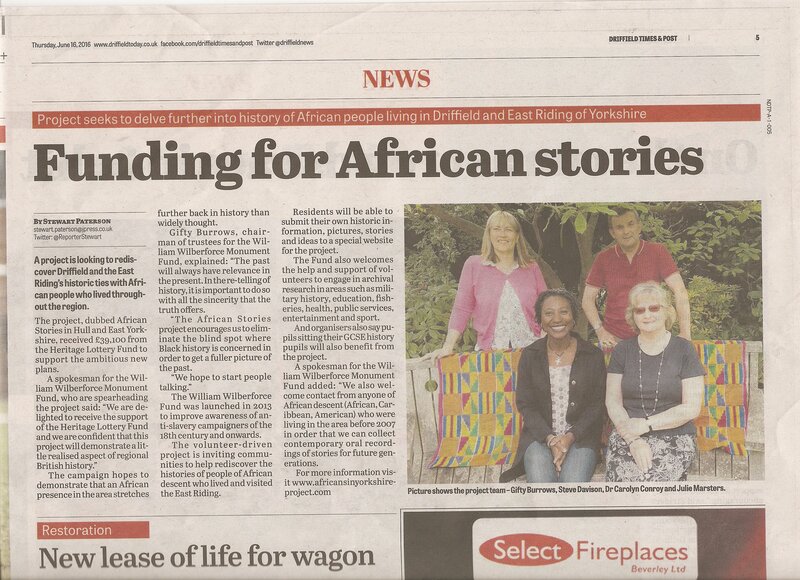 Details of the local and national news and media coverage gained by the African Stories in Hull and East Yorkshire project. David Fewster broadcasts the news of the second exhibition at Beverley Treasure House. 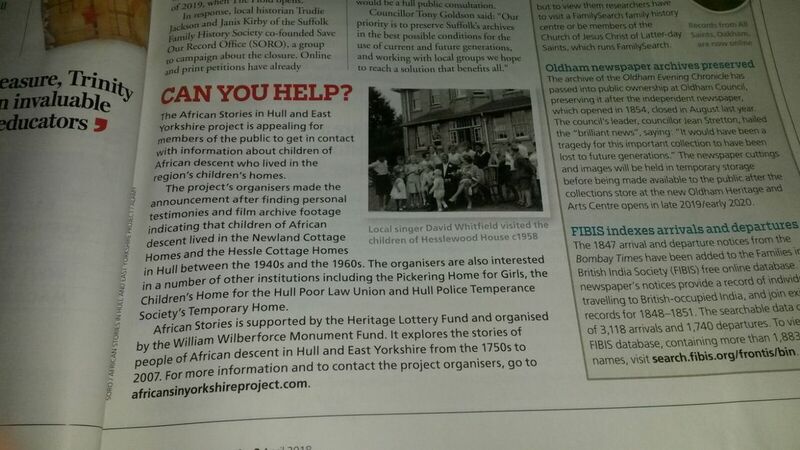 Call for information featured in Who Do You Think We Are? 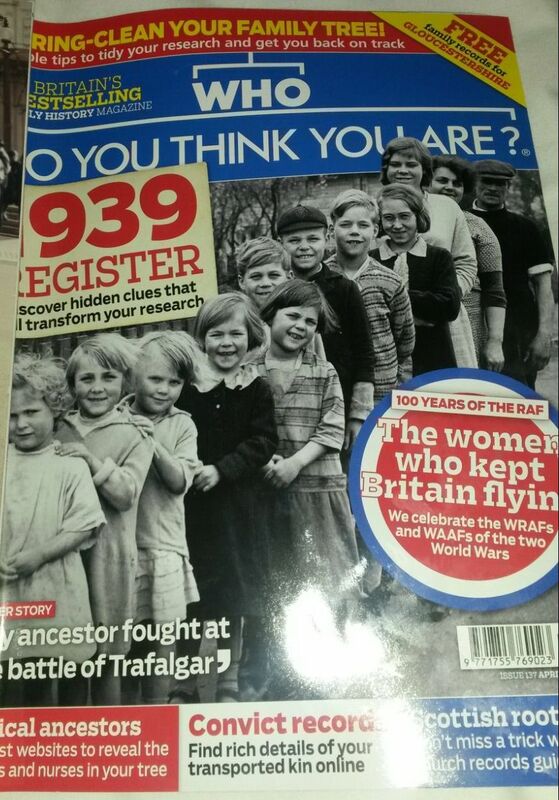 magazine, April edition. Gifty Burrows speaks on James Webster's report on Dusé​ Mohamed Ali. Les Smith broadcasts our 'Call for Information' and mentions May's Beverley exhibition. Gifty Burrows speaks on BBC World Service's Weekend programme in their feature 'A Tour of Hull: UK City of Culture'. Listen on the BBC website. 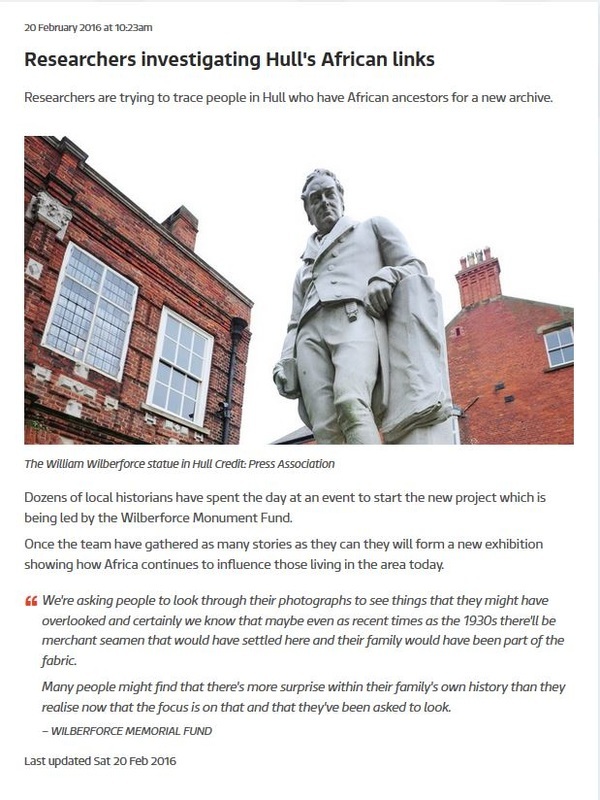 Project Lead Gifty Burrows and Project Researcher Dr Lauren Darwin speak to Estuary TV News about the African Stories in Hull & East Yorkshire Project. Project Lead Gifty Burrows and Project Researcher Dr Lauren Darwin speak to David Reeves for the Phil White Show, Radio Humberside. Read the Driffield Times & Post article about the project. Click on the image below to download the page. Our project lead Gifty Burrows was at Radio Humberside this afternoon talking to David Reeves on the Phil White show about our amazing Heritage Lottery Fund award which will support us to rediscover stories of people of African descent in Hull and East Yorkshire. 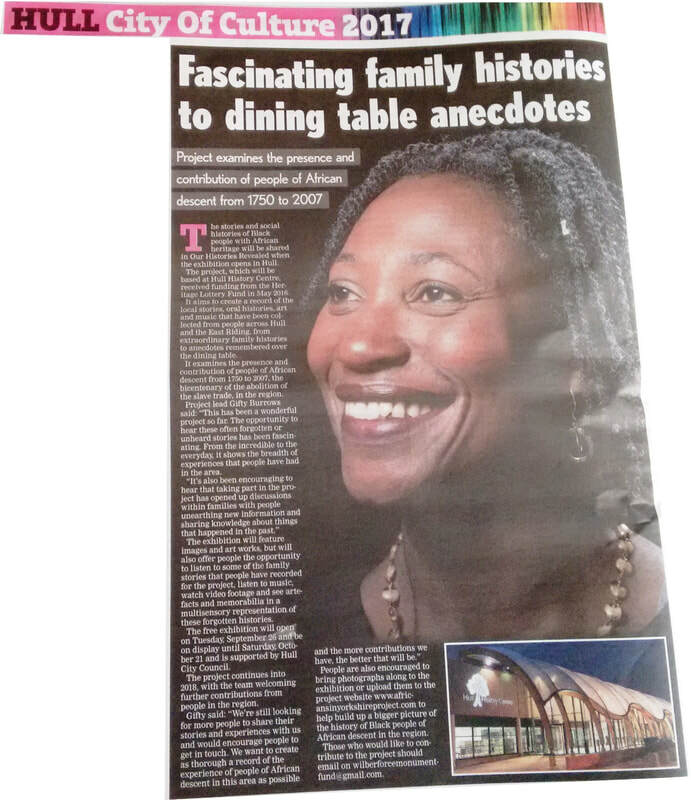 Press play to listen to our Project Lead, Gifty Burrows talking about the project on the Phil White show, Radio Humberside.. Hull Daily Mail, 'Calvin on Culture', 13 Feb 2016. Calendar Local News, 20 Feb 2016.